For the first-time, zulily created an entire campaign all around supporting and celebrating amazing teachers across the country. 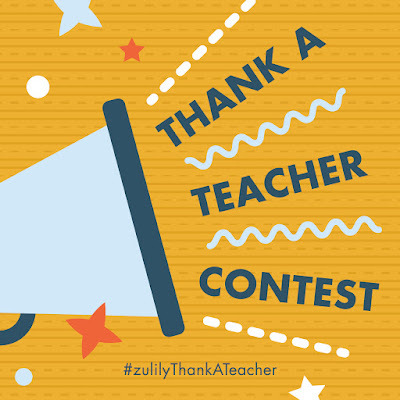 This week they are in full swing, highlighting the 50 winning teachers of the zulily Thank a Teacher Contest (from over 8,000+ entries) and running six educated-themed events, curated by teachers. Teachers also get an additional 15% off if you shop product from these events.